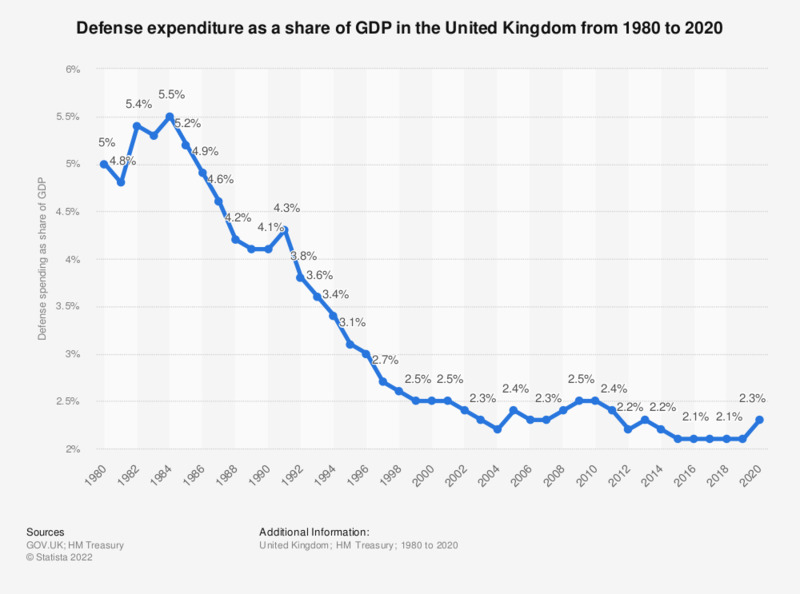 This statistic shows public sector expenditure on defense as a percentage of GDP in the United Kingdom (UK) from 1991/1992 to 2017/2018. From 2015 to 2018 defense spending was at its lowest level (1.9 percent) in terms of GDP share of this 26 year period. The highest level was in 1991/1992.